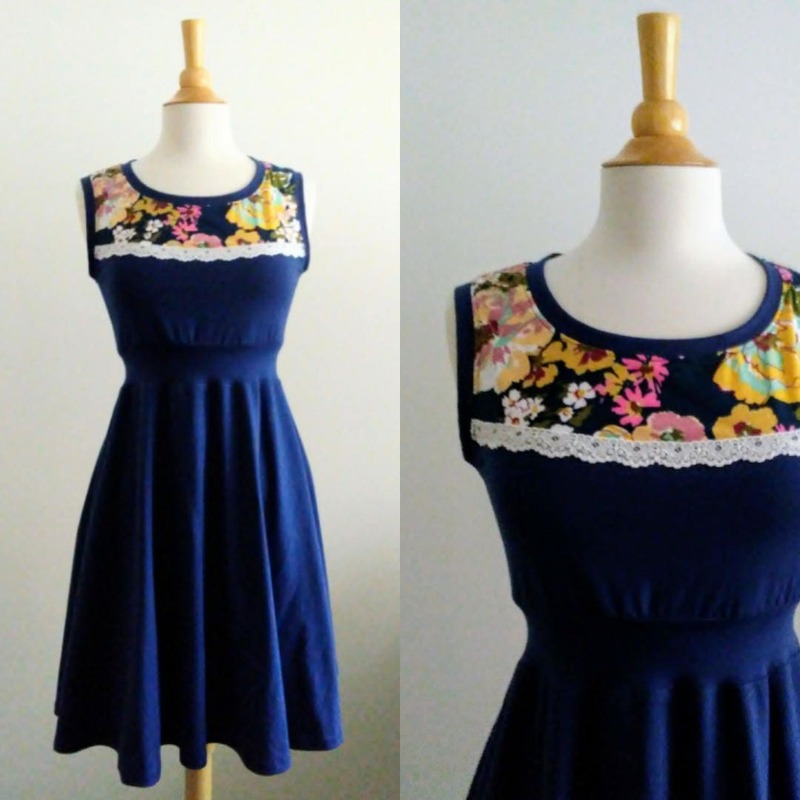 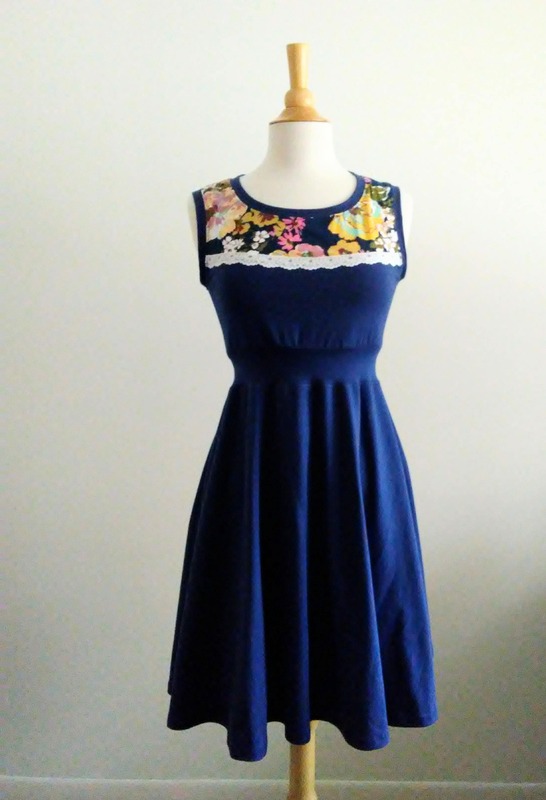 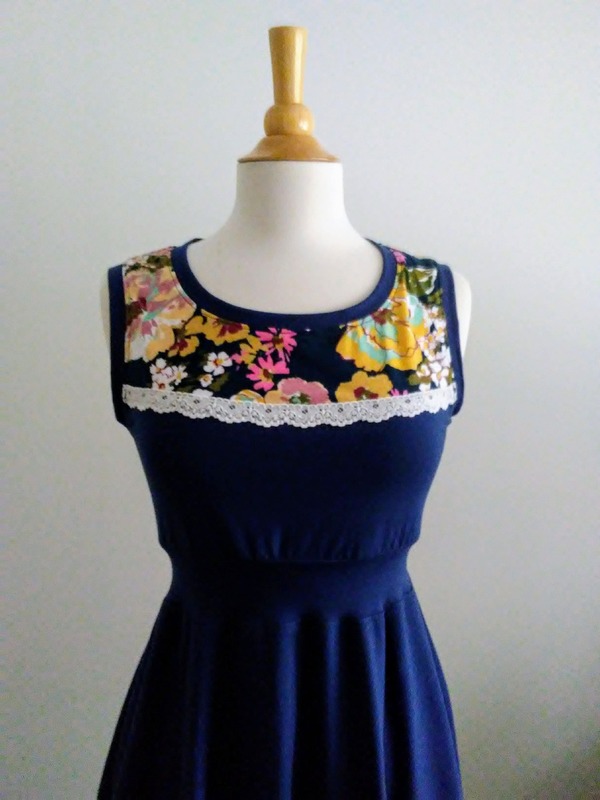 This is a pretty women's cotton jersey dress with a sweet floral print yoke trimmed with ivory stretch lace. 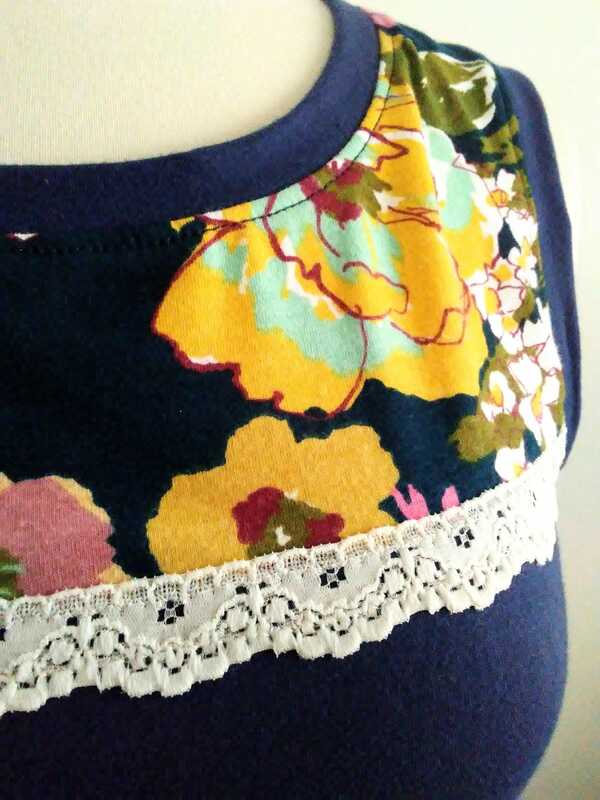 The bodice is fitted with a scoop neck and the bottom is a full A-line swing skirt. 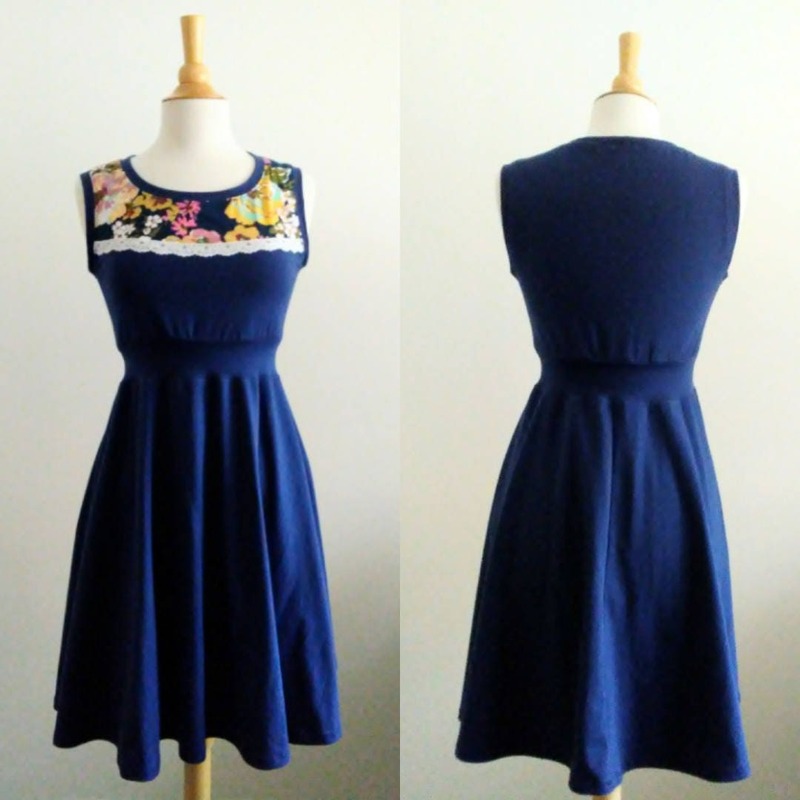 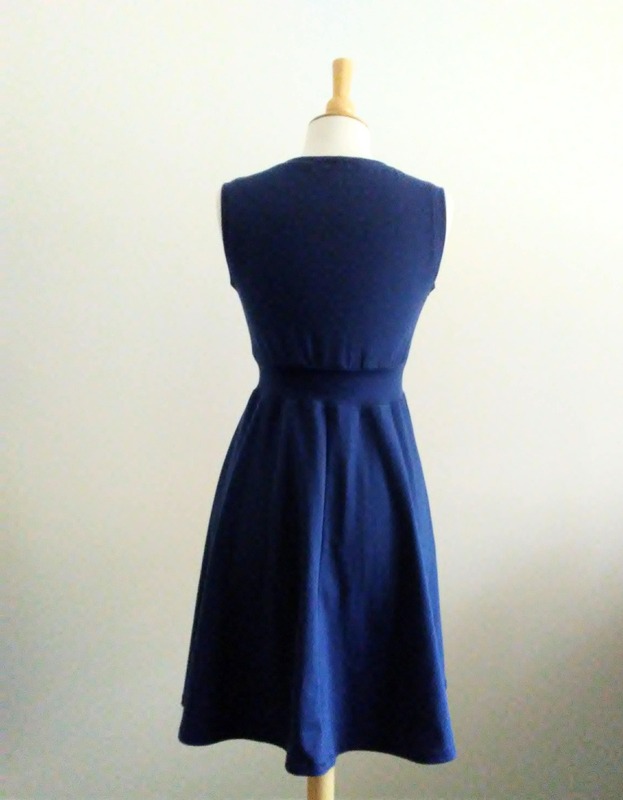 This knee length dress is sleeveless and has a waistband at the natural waist. 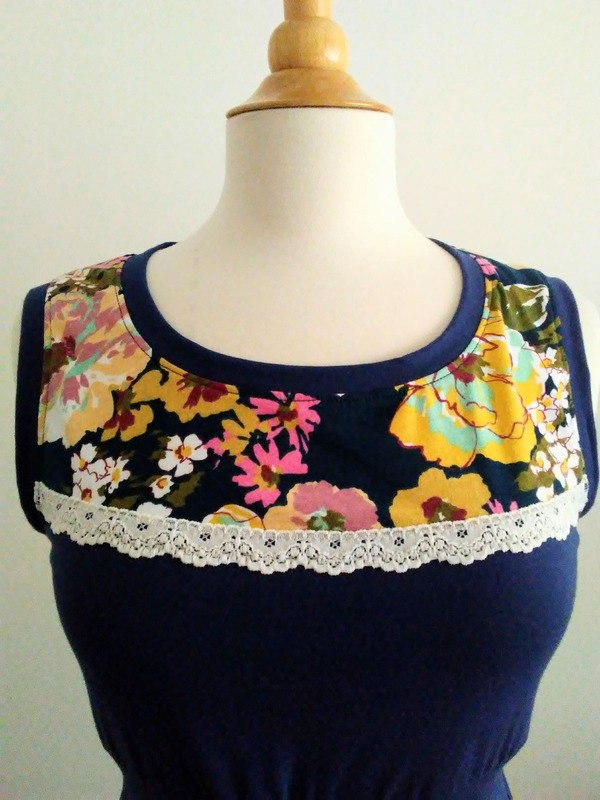 Made of a stretchy cotton spandex fabric. 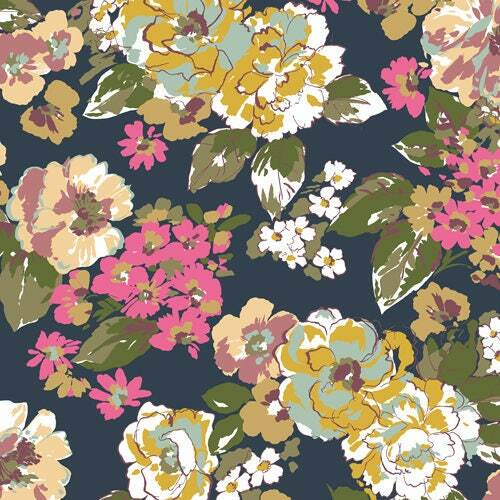 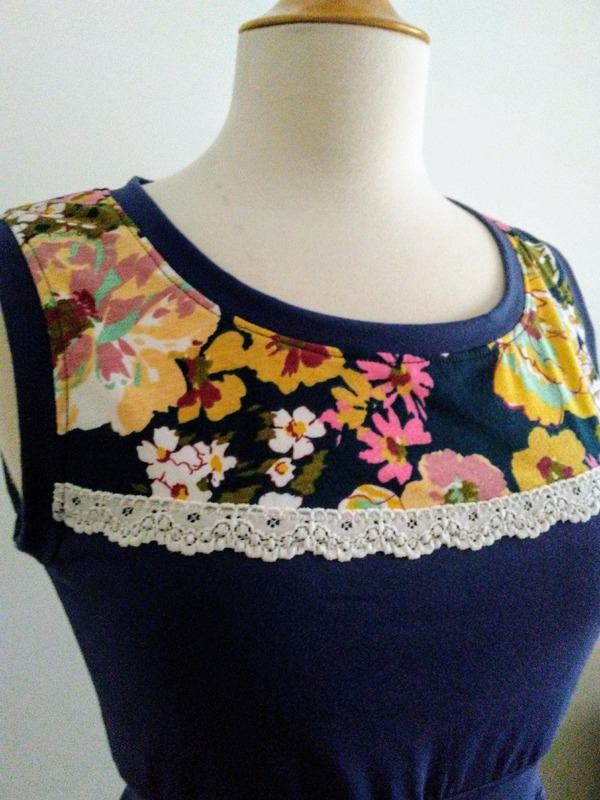 The floral print is a cotton blend fabric and the colors are navy, pink, wheat, cream, olive green and aqua.